There's an exotic look to our Yuri collection. 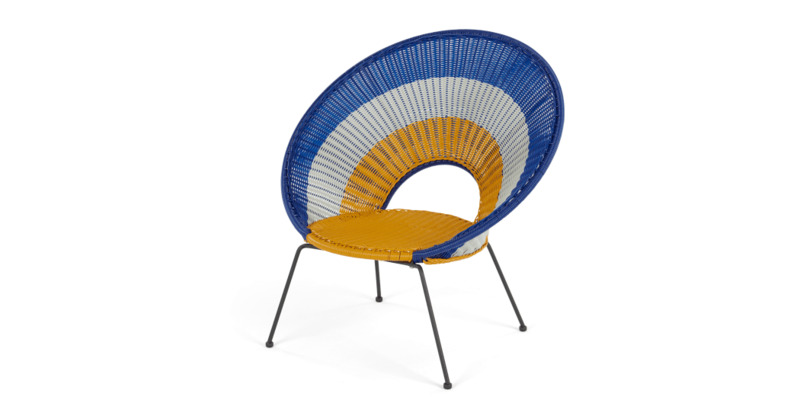 It's thanks to the colours mostly – this garden chair is bright in shades of yellow. But the shape's unusual too, the concentric pattern is complemented with a dramatic curved shape.